This is a breakdown of the full day intensive to give you some idea of the content covered and the structure of the day. Assessing the dancer’s foot before going on pointe is absolutely paramount and is slowly becoming more commonplace in dance schools. Accurately identifying areas of weakness, tightness and instability in a dancer’s foot and giving them exercises that will help optimise the foot’s function is extremely helpful in injury prevention. The first part of the course looks at screening tests that teachers can perform themselves before allowing their students to go onto pointe. We go through a questionnaire that helps ascertain the current status of each dancer in relation to their training and injuries. This will help identify whether the student is ready for pointe work or if, as an example, they are doing too many after school activities which will only lead to fatigue with the added pressures of pointe work. We explore a series of going exercises that help provide a good idea of the dancer’s body awareness, basic technique, proprioception and control of turnout in movement. These exercises should be able to be executed with confidence before the dancer proceeds onto pointe. Discrepancies can be present in a dancer’s technique, for example a dancer can balance quite well in reitre passé but cannot stand flat foot parallel, single leg. Dancers learn how to cheat some movements, in this case the dancer would be hanging into his/her hip and sinking in their lower back to stay on demi pointe. Going through each exercise is important to find these differences and we look at common cheats that dancers have learnt. Other considerations to take into account when students are progressing onto pointe are anatomical variances in foot type and foot shape. We discuss the pros and cons of having each type of foot and common difficulties that each foot type poses. Understanding these differences is extremely beneficial for teachers who have a class of 20 pre pointe students all looking to go onto pointe. Being able to cater for their wide range of anatomical variances is a big ask. We look at the two arches of the foot and the workings of theses arches in each foot type. Understanding foot shape is important when advising students on types of pointe shoes to buy when they are ready for pointe work. We come back and address some major concerns and common questions in regards to pointe work. We look at the issue of bunions in great depth and the reasons why they occur; technique faults, bad shoe fit, genetic disposition. Taping is a great way to offload bunions and allow them to settle while you are healing. Although the bunion taping technique is not difficult, giving teachers a firsthand experience with an expert guide will ensure that they are confident in the technique when leaving the course. A common question is “Should pointe work hurt?” We look at simple yet overlooked reasons as to why students will be experiencing more discomfort than what is expected. We look at common shoe fit problems that are often reasons for pain or discomfort while dancing on pointe. Many questions arise around the topic of ribbon type, ribbon placement and the best way to ‘break in’ a pair of new pointe shoes. All too often, students place their ribbons in the wrong place on their pointe shoes, tie them too tight around their Achilles Tendon and break their shoes is strange places that may feel comfortable but do cause problems. A common problem is tying ribbons way too tight, leading to an inflammation of the Achilles Tendon. As compensation, we discuss the option of sewing extra elastics in an X shape over the front of the shoe and loosening the ribbons. We look at some preparatory exercises for students who are new to pointe to get the accustomed to the shoe and the workings of it. We focus on ankle stability in pointe shoes and using the ¾ and demi pointe, first in sitting and then on two legs at the barre. We stress to teachers the importance and making sure that strength is built through slow concentric and eccentric training to build maximum strength. 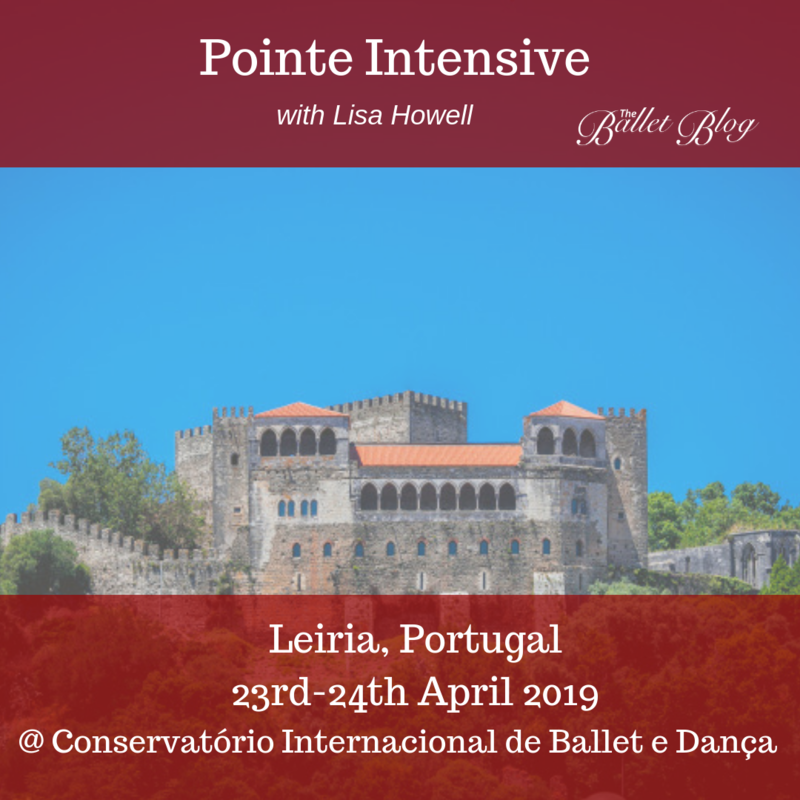 Lastly, we visit some key exercises that should be done in conjunction with a pre pointe strengthening program to ensure that the hips and spine are able to cope with the demands of pointe work. We look at hamstring strengthening exercises as well as deep core and spine stabilising exercises to keep these muscles functioning optimally. Each course will be $500.00 AUD (excl. GST) including course book, lunch and refreshments. Strictly limited to just 26 Participants. 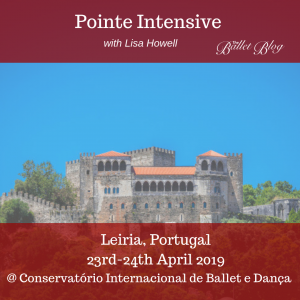 Hurry and secure your place in our Pointe Intensive workshop today! The closes airport in Lisbon. 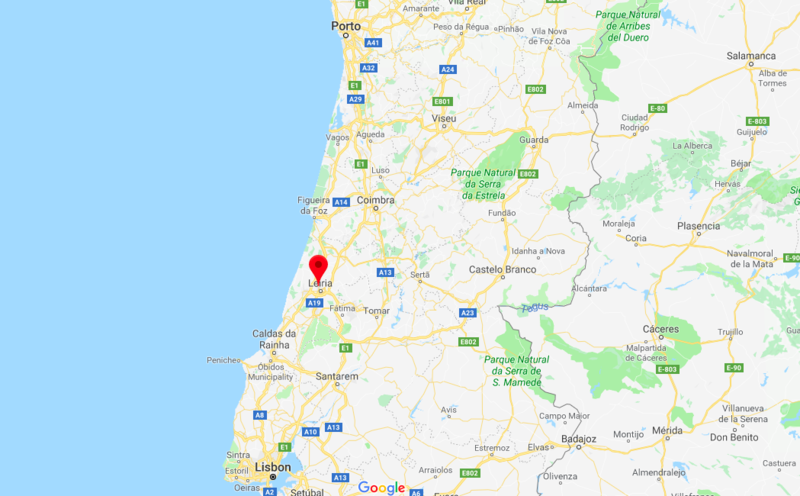 From Lisbon to Leiria its recommended to take the bus (rede expressos) which may be booked online. From Leiria’s bus station it is recommended to take a cab. Please Note: It is only possible to purchase a single ticket in each transaction. This is to ensure that each participant’s details are correctly added to the system. If you are booking for more than one attendee, please make sure to use each attendee’s personal details so that they are correctly registered. 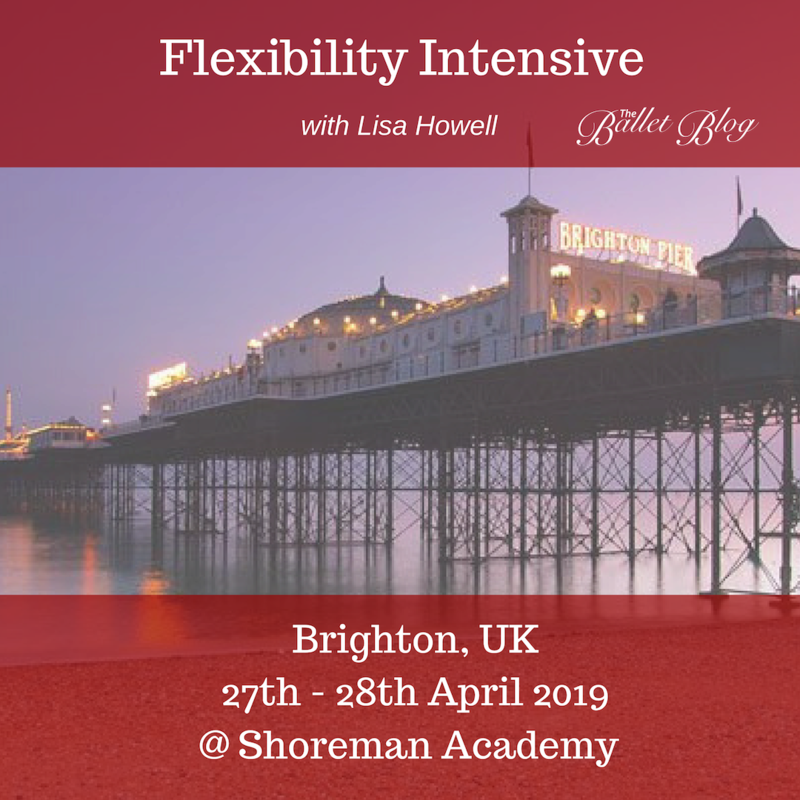 In the event that you are unable to attend the event you have booked and paid for, you can transfer your ticket to a nominated new attendee or attend the next edition of the event subject to availability. To transfer the ticket you must notify us and provide us with the new participants full contact details at least 10 days prior to the event date. The new attendee must also meet any relevant pre-course criteria as applicable at least 30 days before the event starts. Any transfer of tickets will incur a $50 administration fee.